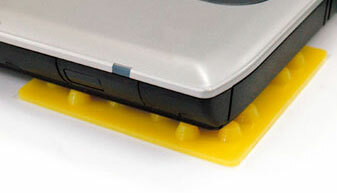 SN-Sheets are anti-vibration sheets that work by simply placing them under a product. SN-Sheets can be put in place after primary equipment installation and are customizable according to the applied load, allowing them to be used in many diverse applications. ●Add more or divide SN Sheets flexibly for a wide range of load requirements. ●Easy installation by simply placing it under any device. ●Stable use due to small resonance magnification and little horizontal distortion. 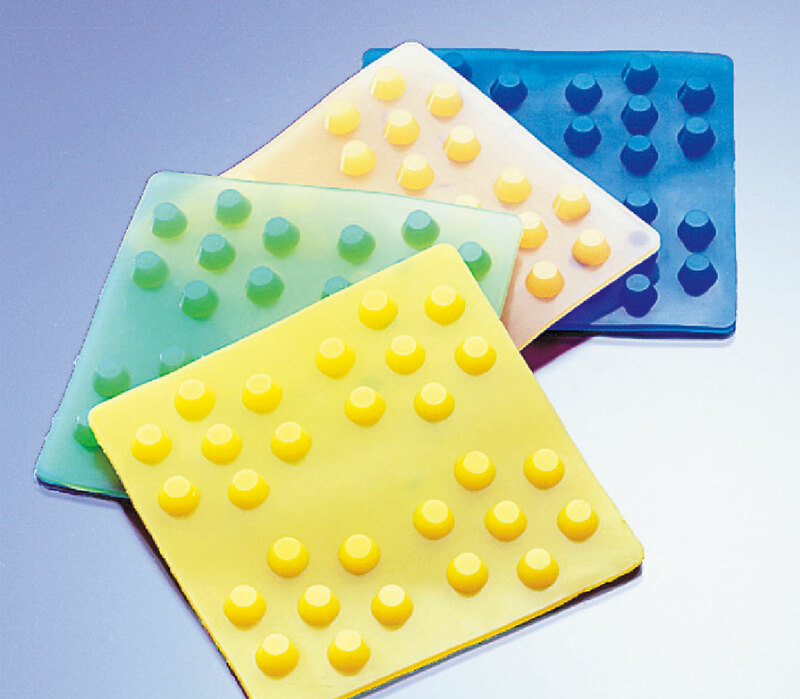 This Alpha GEL in sheet form is an easy to install answer to suppress noise and vibration by simply placing it under precision instruments or testing machines. ・When placing SN Sheet, make sure the vibrating object stays stable. ・Place SN Sheet so that the load of the vibrating object is spread evenly on the projections. ・Placing a flat plate on top of SN Sheet helps. ・Remove the protective PET film from the bottom face before use. ・For a 0.3kg load, add a plate to exceed 0.5kg or use at least three squares of a divided SN-2 sheet. 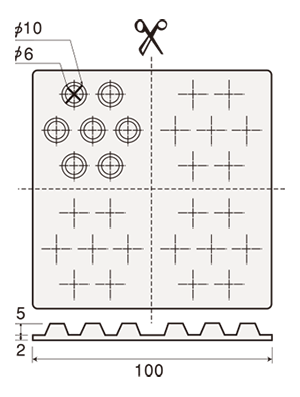 ・For a 10kg load, use a sheet of SN-15 as is or at least three squares of a divided SN-15 sheet. ・For an 80kg load, use 2 SN-50 sheets.